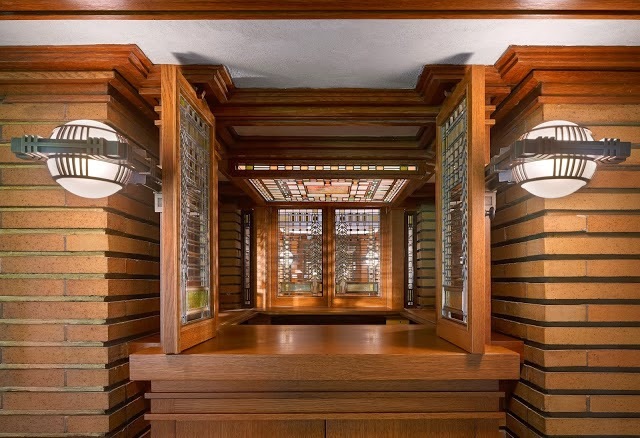 Now that you've run the gauntlet of Black Friday, we invite you for round two of your Holiday shopping: the Wisteria Shop's Home for the Holidays Shopping Spree, this Saturday at Frank Lloyd Wright's Martin House Complex. The Martin House Complex originally had nearly 400 pieces of art glass, and the shop is replete with related merchandise. 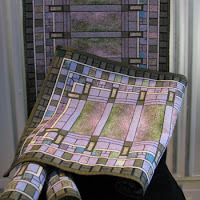 There's something art-glass-inspired for everyone, from postcards to jewelry to decorative wood or glass reproductions. But perhaps the most functional and elegant items inspired by art glass are the place mats and table runners in the "Tree of Life," wisteria and Bursar's office patterns. These accessories are just the thing to add some Prairie panache to your table, and the Bursar's pattern items are new to the shop. 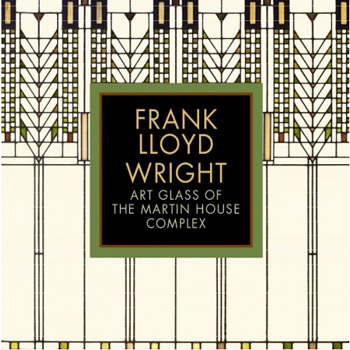 If you're intrigued by the art glass of the Martin House Complex, be sure to pick up a copy of Frank Lloyd Wright Art Glass of the Martin House Complex, a beautifully illustrated compendium of Wright's "light screens" created for his Prairie masterpiece. For kids, check out the whimsical book Iggy Peck, Architect. With Andrea Beaty’s irresistible rhyming text and David Roberts’s puckish illustrations, this book will charm creative kids everywhere, and amuse their sometimes bewildered parents. 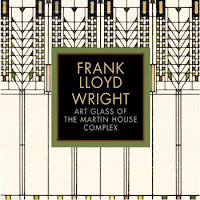 For "big kids" (aka adults), indulge in one of the ingenious LEGO sets of Frank Lloyd Wright masterpieces (the Robie House, Fallingwater, or the Guggenheim). The sale is this Saturday, December 3rd, 10 AM - 4 PM at the Wisteria Shop at the Martin House Complex. The event includes free gift wrapping, holiday refreshments and special sale items. The shop also has extended hours through December - click HERE for more details.